The second anniversary of the UK voting to leave the EU is almost upon us. I well remember where I was when the result emerged. I was attending the Royal Highland Show at Ingliston. Driving home from there I took a call from a leading figure in the soft fruit sector here in Angus. 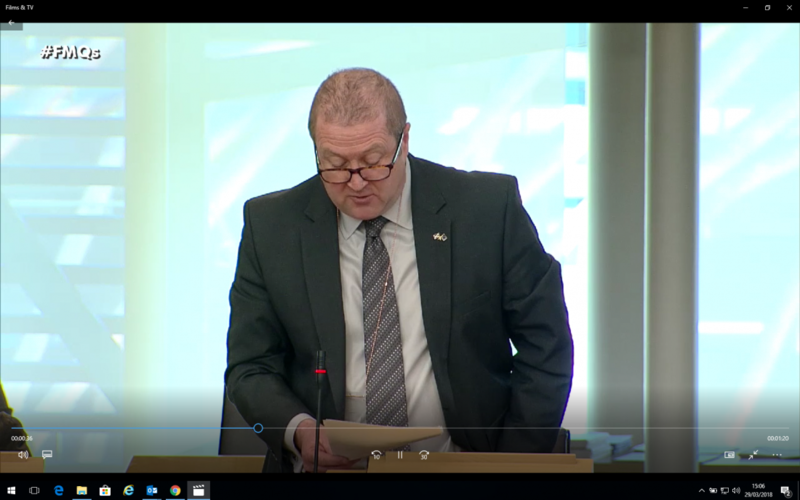 He wanted to discuss his fears over what Brexit might mean for accessing seasonal migrant workers and the impact that could have on a vital component of Scotland’s Food and Drink industry. I don’t think either of us imagined that 23months on we’d be in a situation where the UK Government still won’t provide clarity for the sector. We’ve had warm words from Westminster ministers indicating they understand the need to create a seasonal workers scheme. We’ve even had Michael Gove tell Angus farmers back in early February that they would have “complete clarity by March”. Yet here we are in May and it now seems it’ll be September at the earliest before there’s any kind of meaningful news. And all the while these businesses are suffering as more and more workers choose to take their skills elsewhere with all the consequences that has. As the MSP for Angus South Constituency, the centre of Scotland’s Soft Fruit sector, I wrote to Mr Gove back in March seeking answers on why his promised clarity hadn’t been forthcoming and when farmers and the workers themselves might learn what the future holds for them. The UK Government’s response failed to address the first question and their answer to the second echoed one given my MP colleague Stephen Gethins in the UK Parliament when he spoke up for farmers in his North East Fife constituency – September at the earliest. My criticising this appalling situation would of course be dismissed by some as political points scoring so I will leave it to an Angus fruit farmer I was speaking to recently to sum things up.